Mark Dudek Associates > News > The architecture of schools: valuing play in the learning environment. 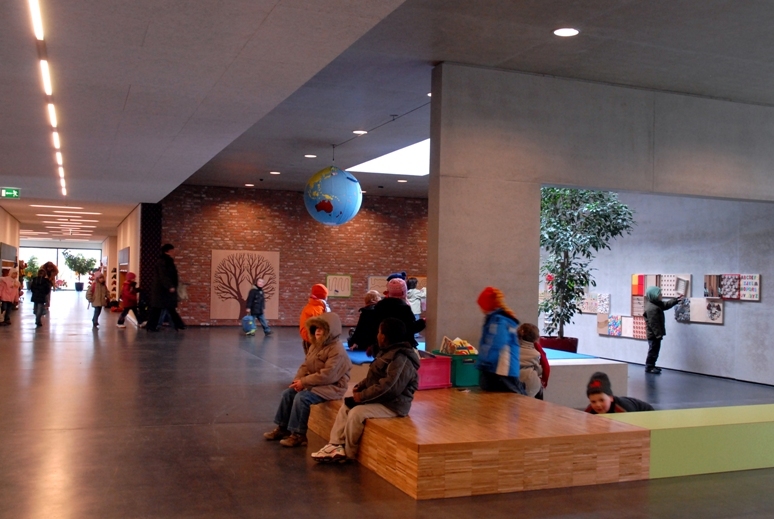 The architecture of schools: valuing play in the learning environment. Educationalist Peter Jackson believes that classroom life during the primary school years is both complex and demanding due to the length of time young people spend there. The clear implication being that the classroom space needs to be conceived and designed with great care. Recent research based on the design of classrooms at primary school level defines this ideal in terms of three key characteristics: firstly ‘naturalness’, which pinpoints the need for good daylight and where possible, green views for the pupils using them; secondly ‘individualisation’ which is the capacity for the space to be changed and adapted, with the opportunity for a range of learning within the same space (activities in smaller groups); and finally appropriate levels of ‘stimulation’, with a careful balance between a quiet visual environment and a certain level of complexity and interest . These three characteristics, the research claims, will inevitably enhance pupils’ academic attainment. Implicit here is an emphasis on academic progress at the expense of other more holistic theories on education. Currently the early years idea that children ‘learn through play’ (LTP), is rarely heard above the reactionary din of politicians evoking more and more regressive forms of group learning, where 30 children will receive instruction in arithmetic, reading and writing from a single class teacher [see illustrations]. Yet it is clear that children learn most when they play, or more precisely when their curiosity as young scientists in pursuit of their instinctive quest for knowledge, is stimulated and enabled naturally . This is no romantic ideal, rather it is borne out by international experience of how young children learn best. The approach has broad societal benefits based on clear evidence. We can for example point to the US’s Head Start programme, equivalent to the Sure Start early years initiative (developed in the UK during the late 20th century). The comprehensive long-term research, launched in 1965, proved that compared with siblings who do not attend, Head Start graduates demonstrate improved educational attainment, much better adult health, and higher men’s wages and decreased incarceration rates for black men, amongst many other social benefits. 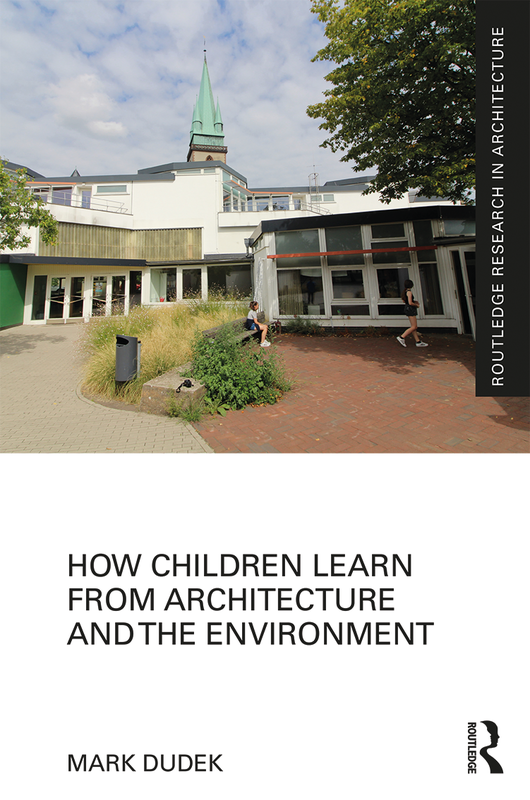 There are only straight wins from this early years approach to education which uses LTP strategies exclusively, in which it should be emphasised, architecture and the environment plays a key role. So what is this LTP approach all about? Extensive field studies of children’s free activities by researchers from all continents identify the clear benefits of LTP particularly when it fits seamlessly alongside more formal learning spaces, characterised by the spatially undifferentiated rectangular shaped classroom for whole group teaching. If young children aged 3-11 years are instead given more irregular classroom forms with niches and bays off the main space and other indentations, slopes and recesses to the floor and ceiling to provide interest and, what some call ‘left-over’ spaces, which children can inhabit either in pairs or in small groups, then imaginative play and learning will happen organically. At this age, play is a serious business. Childcare expert Harry Heft believes that environmental features should be described in terms of the precise developmental activities they encourage . This approach moves designers towards an understanding of the primary school environment as a number of component elements conceived spatially and texturally in child centric terms. He calls this concept ‘affordances’, in which for example, a smooth flat surface affords or encourages walking or running, whilst a soft spongy surface affords lying down and relaxing. Add a slight tilt to the surface and the experience engages the child’s brain / body coordination more fully. A room full of light and shadows has the potential to stimulate children in a particular way, whereas a dark warm place with soft furniture, lots of cushions and spongy flooring can calm them down and provide a suitable setting for storytelling, resting and/or sleeping. That soft ledge at the back of the room affords climbing and chatting with a close friend [illustrate]. These precise spatial descriptions begin to define a particular ‘micro environment’ for classrooms at primary school level, those causal features which enable children to explore sensory learning alongside the formal educational curriculum. Some might view these features as distractions from the key subjects, reading, writing and arithmetic. In practice our laboratory research has shown that they act as an essential release from the pressure of too much academic learning in the classroom at too young an age. Without this, the risk is that many pupils are turned off learning for life . Furthermore it has been noted that characteristics of the pattern of children’s play in the wider urban environment is free flow from activity to activity, transforming the space as they go. Robin Moore, accompanying young people through ‘childhood’s domain’, is struck by the level of discrimination and inventiveness in using resources, if they are permitted: “Each child wove a pattern of personal play traces through the neighbourhood, laced together with the traces of other known and unknown players”  This evocative view can be usefully adapted to the school, as a ‘mini city’, which the child is free to explore at their will as they grow. Designing for this spatial fluidity to foster ingenuity of play wherever possible, recognises that for much of the time, young children can’t spend their time in class engaged in long periods of focussed activity. People learn at different speeds and in different ways. For example this can be seen through the lives of dyslexic individuals many of whom struggled in formal primary education, but went on to develop later. Many become high achievers such as the great architect Richard Rogers and entrepreneur Richard Branson to name just two. This paradigm of school environments which enable self-motivated exploration by learning through play, alongside more formal learning modes tends to be considered less relevant the older the child becomes. At secondary school, particularly when the primary school child moves up to a more grown up environment, the requirement for play remains, albeit to a lesser extent. ‘Big school’ can be a real culture shock and the elements of a children’s environment for play should still be considered during the 11 / 12 year age range and arguably beyond. However secondary school soon takes on its own fluidity through more socially complex functional systems across the board, particularly in the diverse forms of academic teaching spaces, with larger than average classrooms, which can be readily subdivided to facilitate a variety of learning and social modes. The best examples of secondary school architecture creates learning environments in their entirety rather than in isolated classrooms, as is the case in much elementary school architecture. At secondary level, circulation between the teaching rooms often incorporates wider-then-average movement routes with informal learning spaces arraigned between classrooms [illustration]. This fosters social interaction between students. Learning becomes an activity which takes place between students of different ages by way of chance meetings, what is described evocatively in Denmark as ‘social pedagogy’. Big secondary schools will often be centred on voluminous central ‘atria’, mimicking the civic idea of the town square, where all ages can meet and mingle. Furthermore in secondary schools children are less confined to a single classroom all week, rather they move around, between and sometimes even during lessons. A wider range of distinct subject types are often grouped together in the form of academic or vocational departments, (depending on the school’s specialism). For certain kinds of study, like sports, drama, music, or vocational training, the facilities are specially equipped and in the form of studio workshops for ‘learning by doing’. This reflects back to the early years mode of learning through play. All of this suggests that a more blended approach to the design of schools should be adopted, where a richer environment links children and their teachers to both formal and informal learning spaces, integrated together for sensory as well as academic learning. It suggests that primary schools should be equipped to manage 0-11s, and to address the social needs of the child’s family as a whole. That secondary school’s lavish facilities should be available to the wider community after school hours and during holiday times and that vocational training, should be addressed with purpose designed facilities of the highest quality. Here in the UK we have the overwhelming need to equip our future citizens who do not suit an academic route (post 14), in order to build a highly motivated professional class of workers in fields such as construction, manufacturing, catering and in the caring professions. Everyone can’t be a rocket scientist. This also reflects today’s knowledge economy where people work in collaborative groups of varying expertise and knowledge. The architecture of schools speaks to its users in a way which no comparable public building can; through design it can choose what it says. Either it can say that education is a dull old fashioned pursuit which has no relevance to the modern world; or its language can speak with a humorous contemporary edge which says to its users that education is utterly relevant to their world in its combination of formality and informality. As Winston Churchill stated, “we shape our buildings and they shape us”. 4/ Heft, H. (1988): ‘Affordances of children’s environments: a functional approach to environmental description’. In: Children’s Environment quarterly, vol 5, no 3, pp. 29-37. 7/ Hertzberger, H. (2008): Space for Learning. Rotterdam, pp. 35.